Last Saturday, my family walked/ran in the St. Louis Race for the Cure. 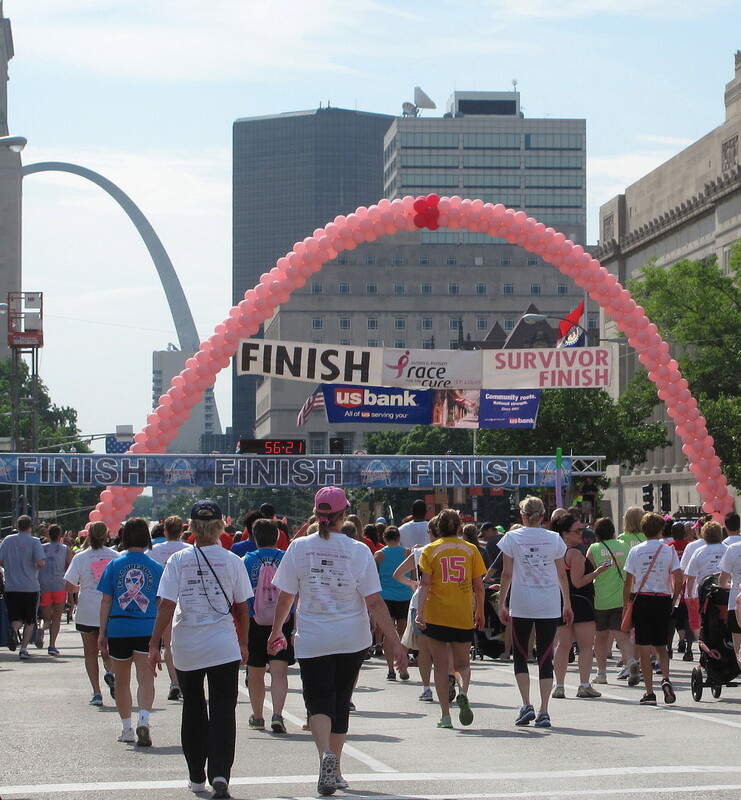 This was the 15th year this breast cancer awareness race has been held in St. Louis and we have participated for many years. It is an amazing experience. No one can help but be inspired by the overwhelming aura of love and support for the courageous women who have fought the battle against breast cancer. My son and daughter walk/run the 5k. My husband and I meander less vigorously on the 1k walk. But regardless of the speed, all participants start out on the same course through the streets of St. Louis. At one point, the course leads to the top of a hill. The view at that spot never ceases to give me goose bumps. The gasps of awe from those around you are clearly audible. From that peak in the road, all the way to the horizon, the road is filled with 40,000+ walkers and runners. You can actually feel the power of collective hope for a cure. About two years ago, my dear friend Lisa and her sister-in-law Diane, were diagnosed with breast cancer just months apart. These two spirited survivors are amazing women. 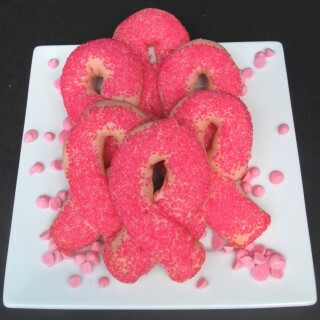 These Raspberry White Chocolate Chip Ribbon Cookies are dedicated to Lisa and Diane, with love. 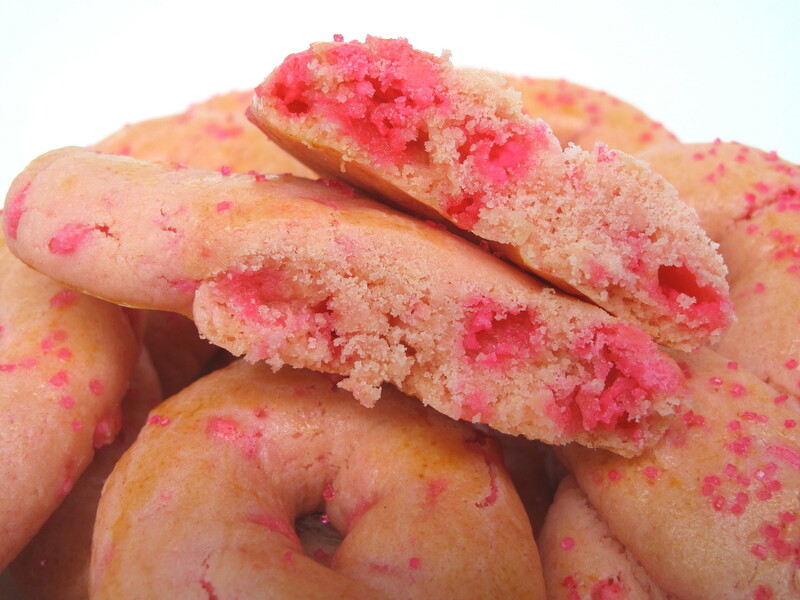 These are Raspberry White Chocolate Chip Ribbon Cookies, but the chips are PINK not white. That is the slightly insane, but really fun part, of making these cookies. Did you know that you can add regular food coloring to melted white chocolate chips and create any color chip you choose? When I googled to see if anyone else had attempted colored chips, I found directions here. Start by melting a cup of white chocolate chips in the microwave. 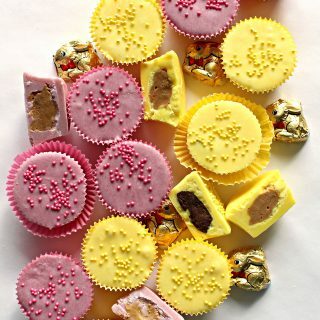 You have to be careful with white chocolate because it burns very easily. I microwaved at medium power for 30 seconds, mixed, then repeated for 10-20 second intervals, stirring between intervals, until completely melted and smooth. 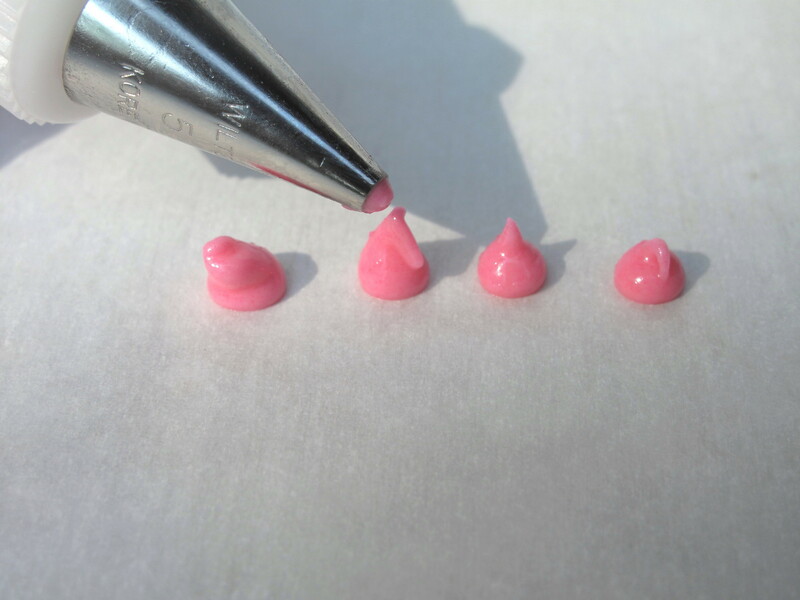 For a deep pink color, I used 3 drops of Americolor 164 Electric Pink. 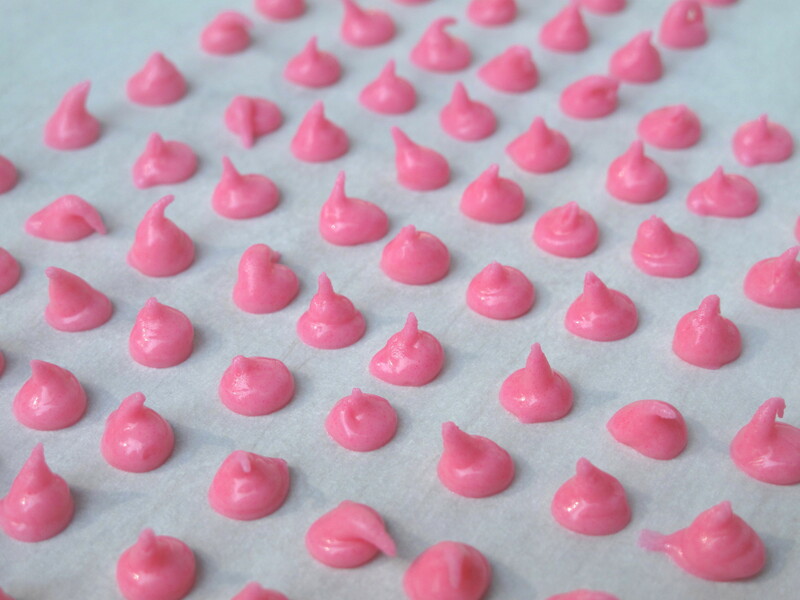 After mixing in the food coloring , I poured the pink chocolate into a disposable icing bag fitted with a Wilton #5 tip (basically just a little round hole). 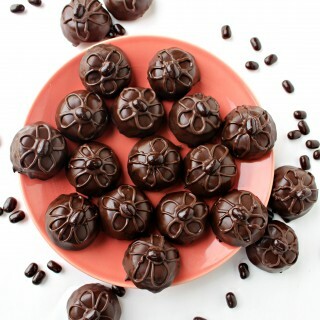 The melted chocolate is piped in dots onto a parchment or silpat lined cookie sheet in squeeze-stop-lift up motion. When the bag is empty, chill the cookie sheet until the chips are solid. 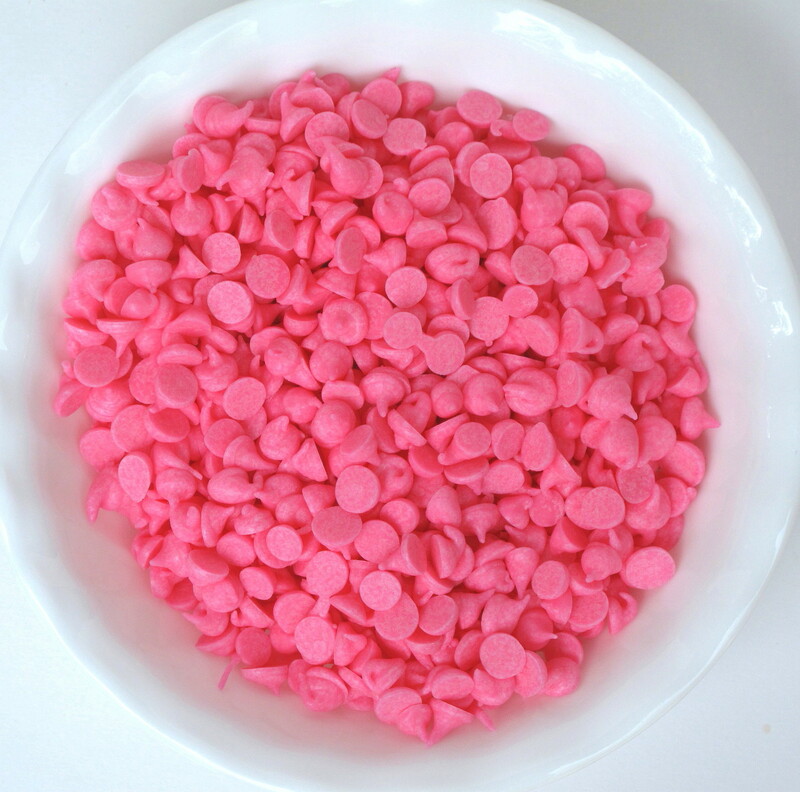 You will only need ½ cup of chips for this recipe, but if you are going to spend the time making pink chips, you might as well make extras for future use! When the chips are solid they will slide right off the parchment/silpat. How cool is that?! 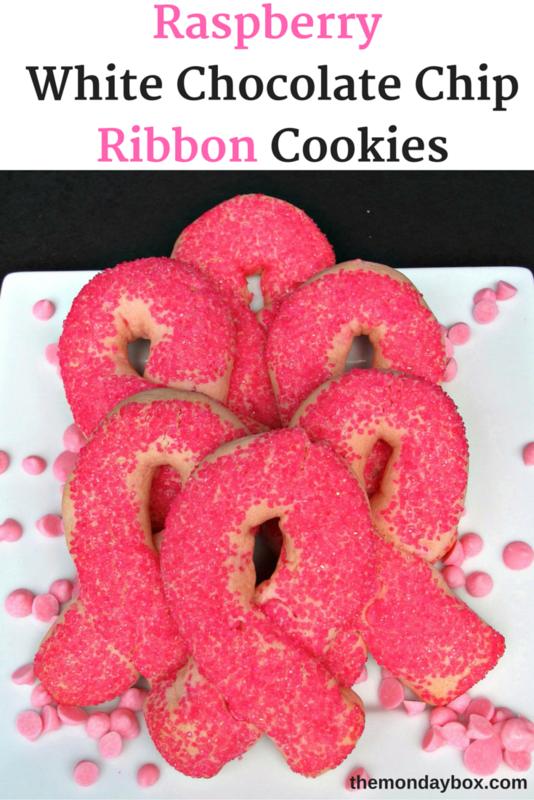 Though I was inspired to make pink ribbon cookies, if you change the color of the chips and the flavoring, these Raspberry White Chocolate Chip Ribbon Cookies could easily be adapted to another color support ribbon. With the 4th of July around the corner, yellow “Support Our Troops” ribbons come to mind. 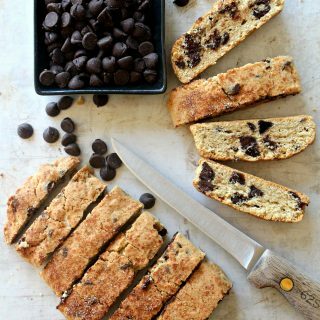 Twist the dough differently and this adaptable cookie is delicious in any shape. 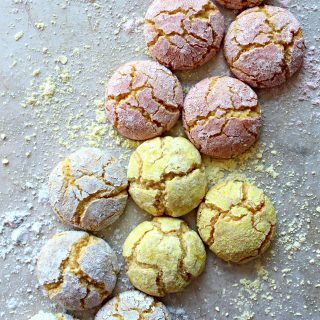 I adapted this recipe from my Cinnamon-Sugar Twist Cookies. **Desert-safe adaptations: Use vegetable shortening instead of butter. 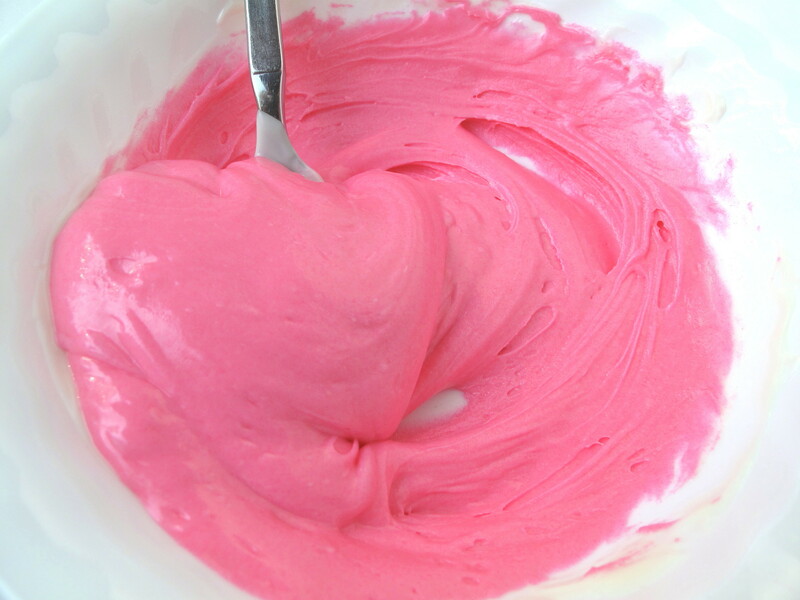 In a medium bowl whisk together flour, baking powder, salt, and jello powder. 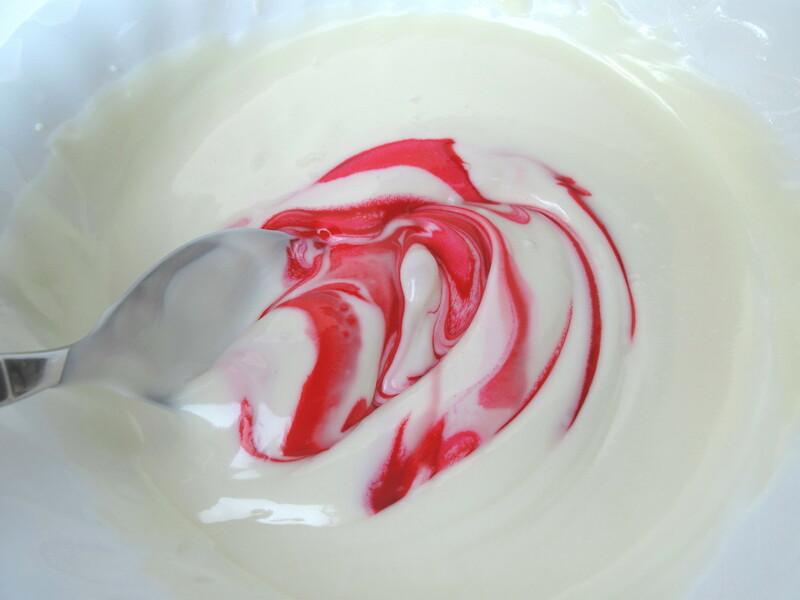 In the bowl of an electric mixer, cream butter and sugar until light and fluffy. Lower mixer speed and add egg, water, and vanilla extract, mixing thoroughly between additions. Slowly add dry ingredients until combined. Using a medium scoop (2 tablespoon size) or tablespoon, scoop dough and roll into balls. To form cookie: Mush a ball a few times in your hand to make dough smooth and evenly distribute chips, then roll out on counter into an 8” snake. Gently fold dough snake into an upside down “u”. Cross left side over the right leaving an open loop at the top. If coating in decorative sugar, pour some sugar onto a plate. Place the shaped dough, top side down, onto the sugar. Press gently with your palm to slightly flatten the dough and imbed the sugar. Gently move formed dough ribbons onto prepared baking sheet, placing 1” apart. 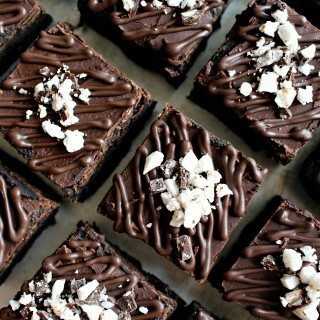 If sprinkling with decorative sugar, sprinkle now. Bake for 11-13 minutes until cookie is golden brown. ( If mailing, slightly underbake no more than 11 minutes.) Cool on wire racks. When completely cool, store at room temperature in airtight container or ziplock bag for 2-3 weeks. With bottoms together, wrap pairs of cookies in double plastic wrap then place in airtight containers or ziplock bags for mailing. Beautiful cookies and wonderful that you did the walk/run! I’m sure it means a lot to both friends and strangers to see your support. Breast Cancer touches so many. Hope your friends Lisa and Diane are doing well! I just love love love that you made pink chocolate chips!! You have to give colored chips a try! I think it is so much fun! Lots of positive thoughts and well wishes that your cousin can again join your SIL as a survivor!! I am awed by the courage the breast cancer battle requires. 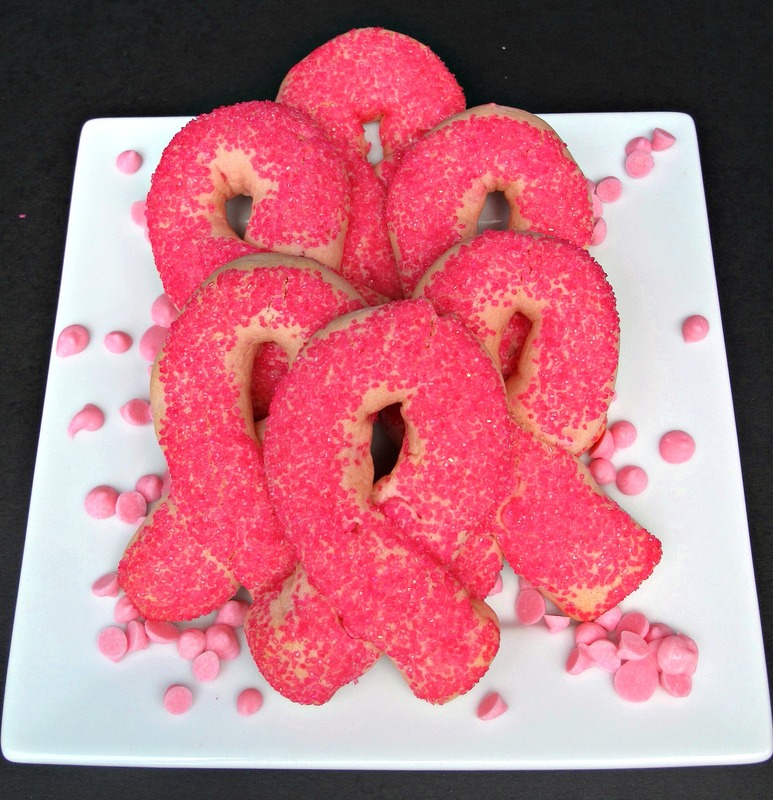 Though I dedicated the these cookies to my two dear friends, they are made with hopes for all women touched by breast cancer. The race sounds like such a great event too and from words and photos it sounds like it must have such a good atmosphere. I love that your cookies are dedicated to such a great cause. The sight at the top of the hill is amazing. I got goosebumps just reading about it and seeing your pictures! 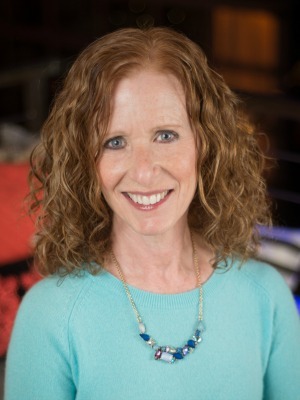 A good friend of mine has beat breast cancer and I’m so happy for her. I think every one of us has been affected by cancer or know someone that has been. Such a horrible disease! I’m glad your family did the walk, that’s great. I never realized you could make any color of chocolate chips…that is awesome. The cookies look good, I can imagine how well they taste….mmm!! 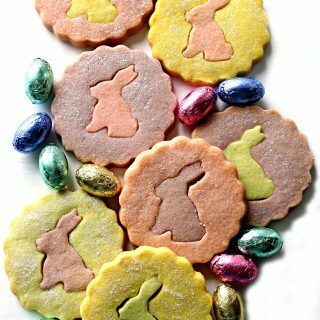 Gorgeous cookies, and for such a good cause! such a devastating disease; i’m continually reminded of how many of us have someone in our family (or multiple someones) and friends who has had to go through it. 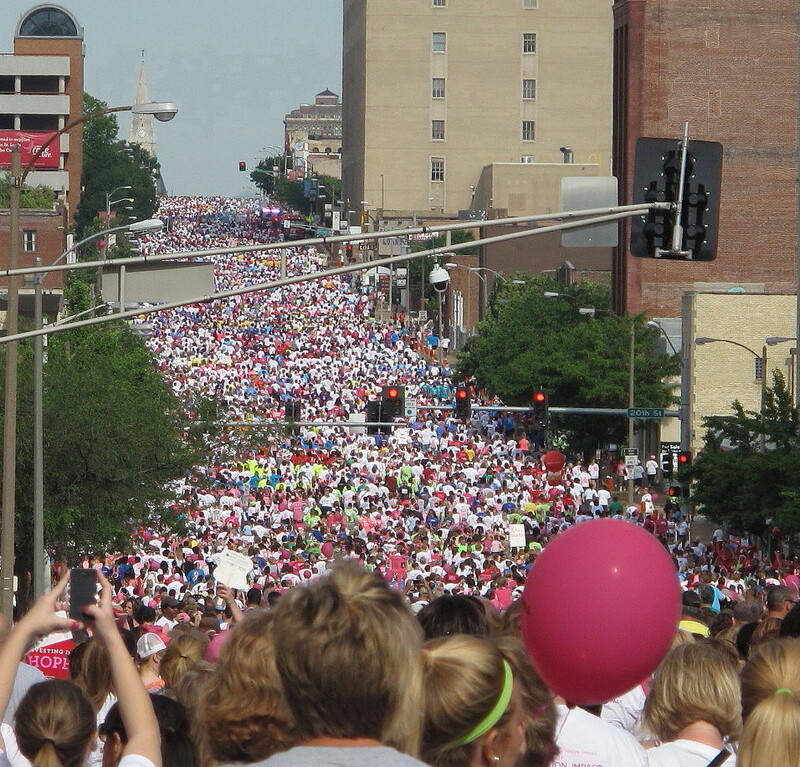 The race for the cure is so much fun, right? And yes, very inspiring; I went for many years (i haven’t been able to go since my little one was born, for one reason or another), and i always teared up a little at how strong these women are. your cookies are so lovely! and look at you, making those little pink chips! that’s some hard work…nice job. 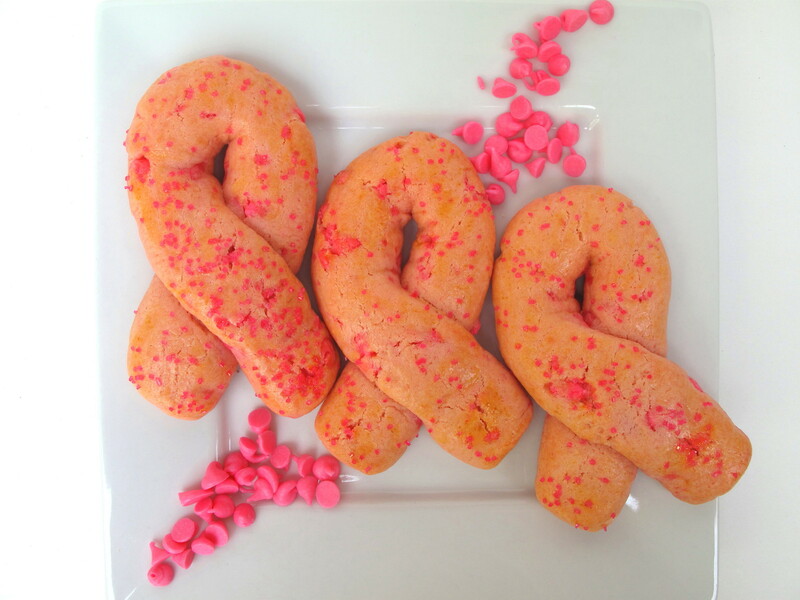 Your cookies remind me of those pink ribbon bagels at bread co (panera). adorable. Experiences like that really do make you believe in humanity again! The cookies are adorable, too! 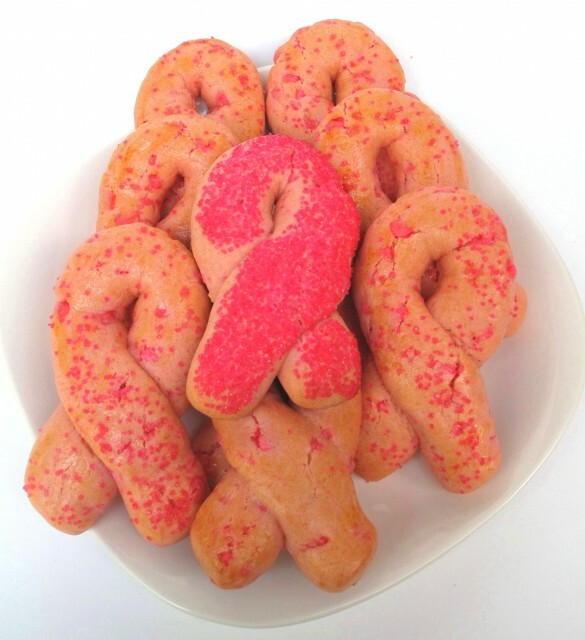 And these ribbon cookies are really beautiful, the shape is beautiful.. I wouldn’t think that it will be possible to shape them like that ! A hit my dear Wendy ! Women can be proud of you ! That view is AMAZING! And I can’t believe you made your own chocolate chips! That is the coolest thing I’ve seen in a while. You have a ton of patience. The cookies are so pretty! Thanks, Reeni! I have done the Race for years and that view is always awe inspiring! The colored chocolate chips were so much fun that I didn’t think much about being patient. 🙂 I just kept thinking about how cool the chips were and how crazy everyone would think I was!